The studio is his home: Michel Heurtault works hard, thoroughly repairing the umbrellas of past epochs and creates the new models following the patterns. Since his profession is disappearing, it is no longer taught in France, he was awarded the title of "Master of Art", the highest professional award, by the French Ministry of Worship in 2013. He doesn’t have a single competitor in the world. It must be love. It can be seen by the way the working space of Michel Heurtault looks. Graceful slim creatures with light fabrics, also greater figures with bright embroidery. 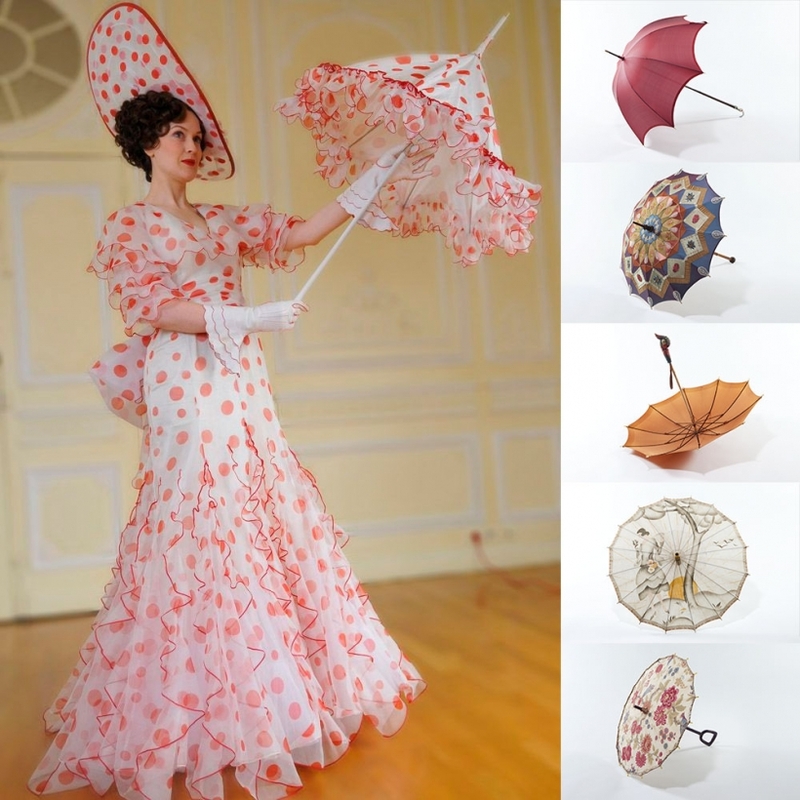 However, it is not about women in beautiful dresses, but about the umbrellas. In his studio in Paris Michel Heurtault repairs and makes them in old-fashioned hand-made way. At the same time he is one of the very few masters engaged in this activity. Also he is an artist of the disappearing group of artists. In his studio there are umbrellas for any weather and any character, as well as for any reason: protection from rain and sun, wedding, historical films, theater or show of haute couture. But he is especially attracted by the old models of the period from the 18th century to the 1960s, which he repairs with great love and technical skill, or creates the new models using the old patterns. Only exclusive materials may be used for this: silk, velvet, linen, lace, or even ostrich feathers. In order the material performed the goal which is to protect from rain or sun, Heurtault processes the products in a special way. It may take up to three weeks until one umbrella is ready. The Frenchman had been showing interest to thin jointed carcasses when he was just a child. "When I was eight, I began to open, and shut again the umbrellas," - refined esthete says. - "For me, it was like a game. My mom found it funny." Heurtault mastered the sewing skills on his own. He came to Paris and produced cinema and theater costumes. In particular, he was working for Dior and earning good money. But this was not enough for the 50-year-old specialist. In 2008 he founded his own company. His requirement was to create umbrellas that will survive any wind. "I make models that will exist for the period of life of several generations," says Heurtault, who wants to have an impact on the industrial consumer goods. Success proves him right: the buyers come from around the world. And they are willing to pay a correspondingly high price. One umbrella costs a minimum of 350 Euro. The prices of many models of Heurtault are very high, they are four-digit. Nevertheless, these models are more important than everyday items. They are jewelry that you can fall in love with. Ten hours per day or even more Michel Heurtault spends in his workshop, which is directly adjacent to his shop "Parasolerie" ("World of umbrellas"). He chalks the styles of locks and handles on the stick. He owns nearly 1,000 umbrellas. 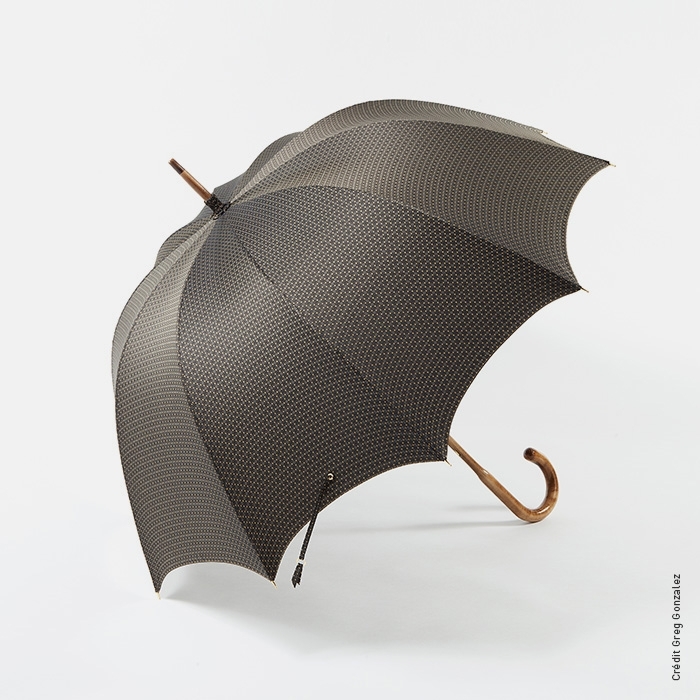 "I make umbrellas intended to exist for an eternity," - Michel Heurtault says. Under Viaduc des Arts, a peaceful section of railway line in Paris, there is a studio-shop "Parasolerie Heurtault".